Emeril Lagasse is heading to bigger and brighter things! The celebrity chef premiered a new show based in the sunshine state, called Emeril's Florida. 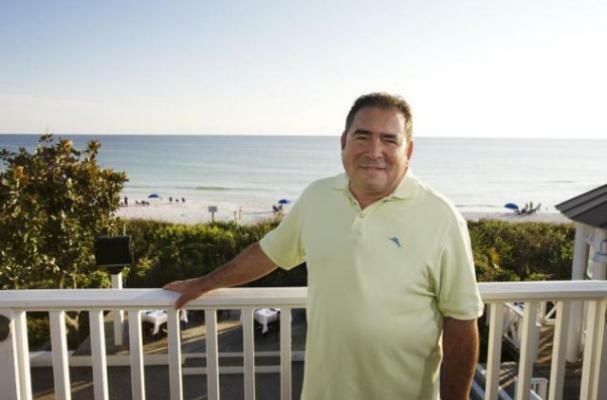 "Florida is not only about theme parks and water slides," Lagasse told the NY Daily News. "Sure we've got a little bit of that, but we've really mixed it up here, we're following wine, food and farmers." The show captures Lagasse as he travels through Florida, exploring local foods, restaurants and agriculture. The celebrity chef will also be featuring of few of his own recipes. Emeril's Florida airs Sundays on the Cooking Channel.